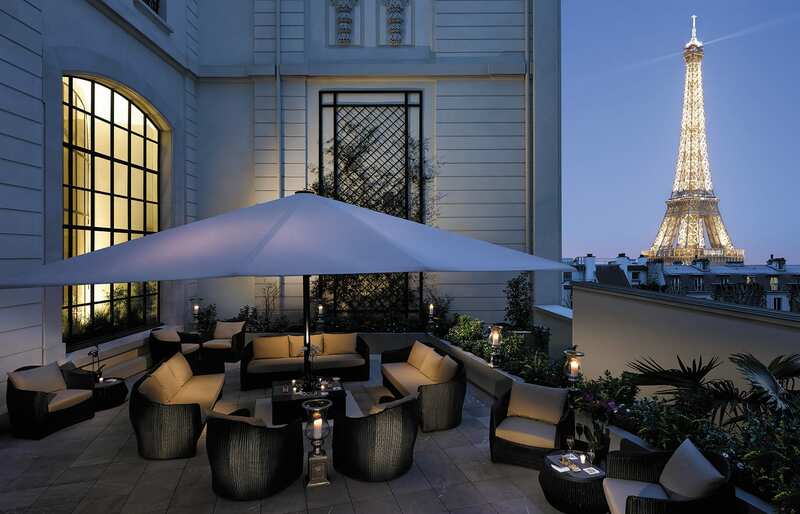 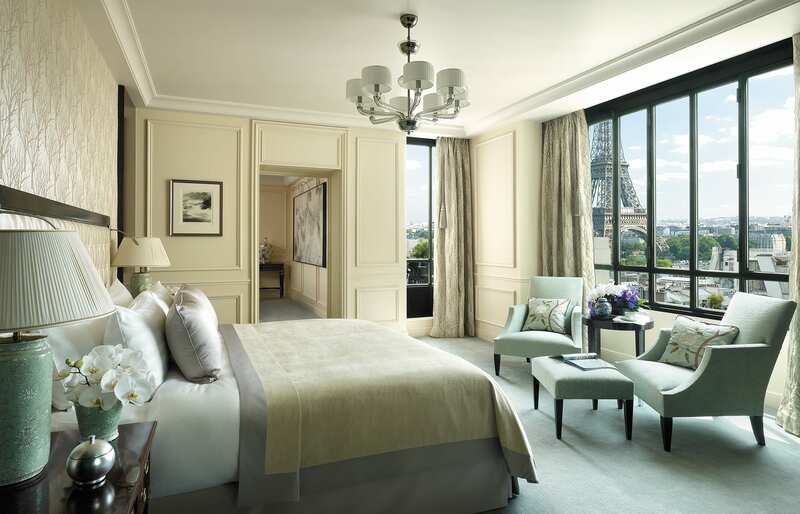 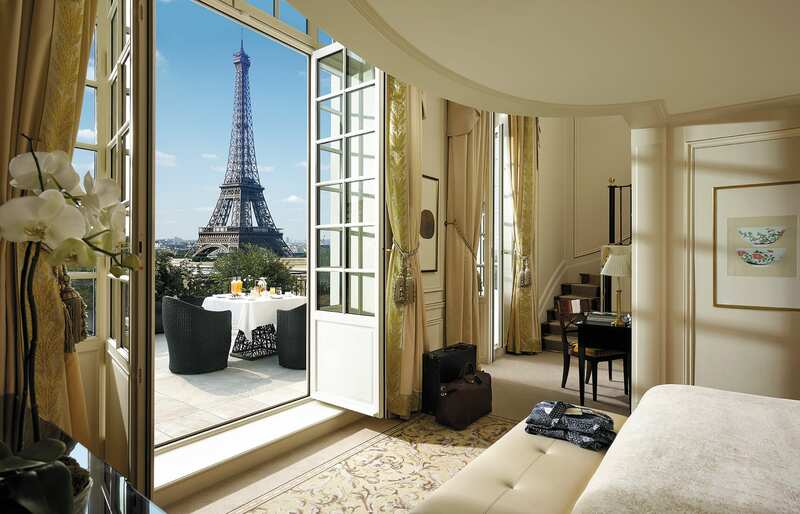 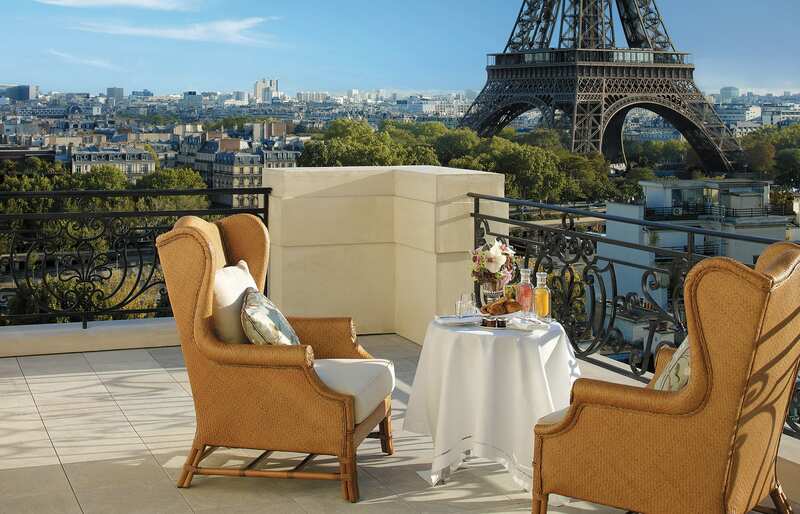 Shangri-La’s first European hotel is a majestic mansion with Eiffel Tower views and Michelin-starred cuisine. 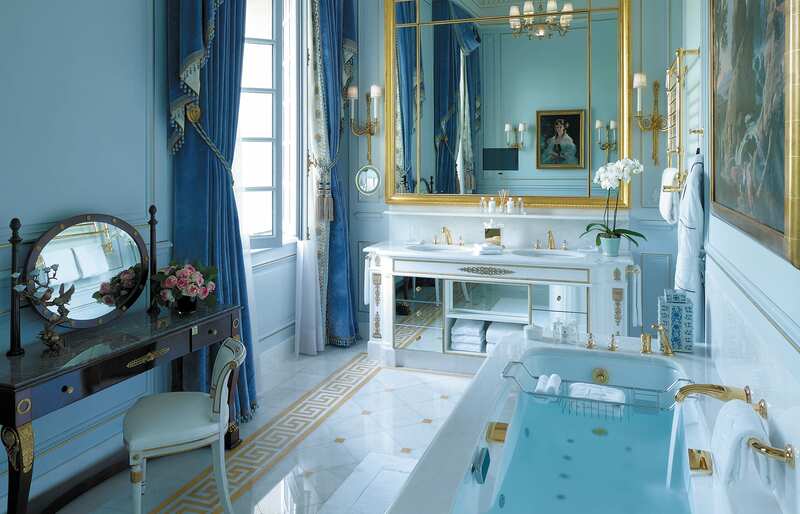 French interior designer Pierre-Yves Rochon has successfully blended Napoleonic elegance and understated chinoiserie in this 1896 limestone mansion, Shangri-La’s first European hotel. 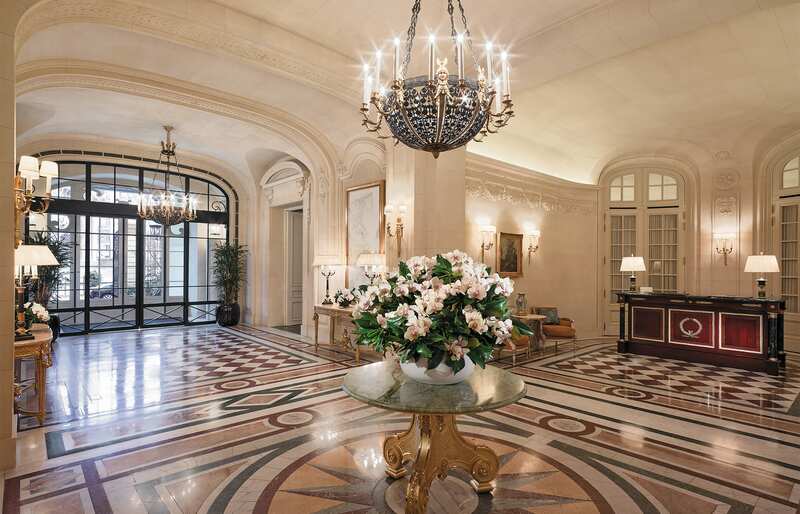 The hand-gilded paneling and lavish use of marble are reminders that much of the building is classified as a French historical monument. 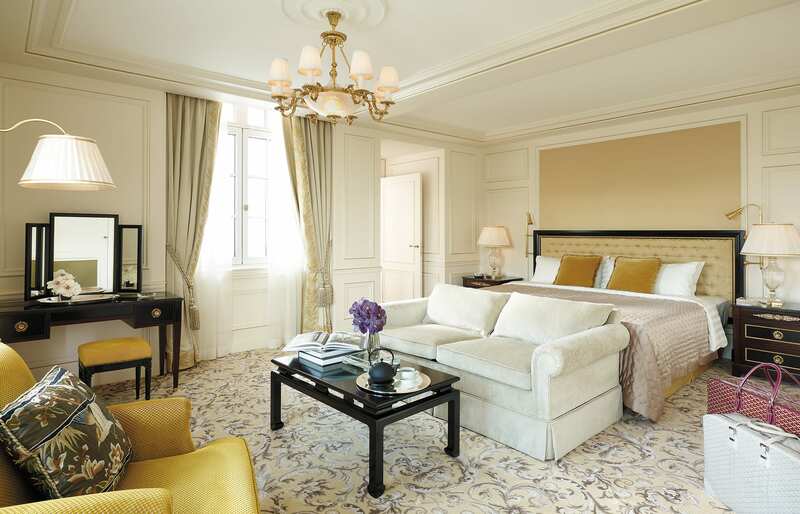 From liveried doormen to crystal chandeliers and woven silk wallpaper, you’ll either love or hate the opulence, but there is no faulting the standard of comfort. 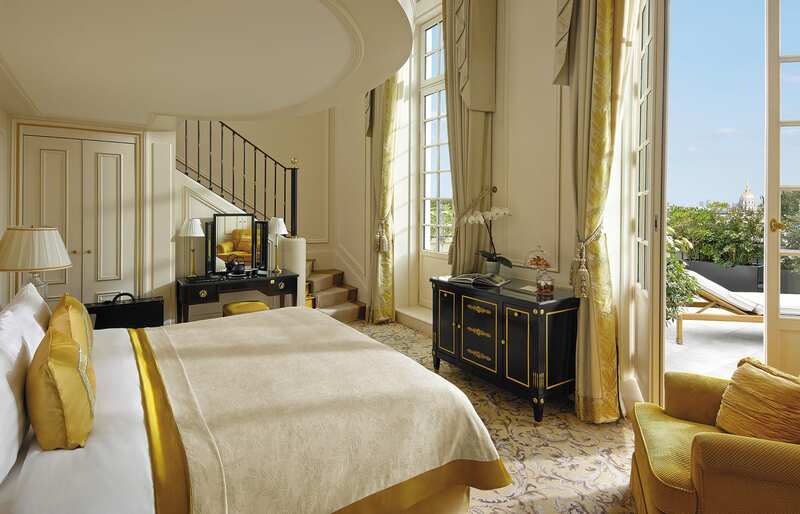 The service is impeccable and discreet, and the gold and ecru guestrooms are kitted out with the latest technological amenities (marble bathrooms with underfloor heating, TV screens embedded in the mirrors). 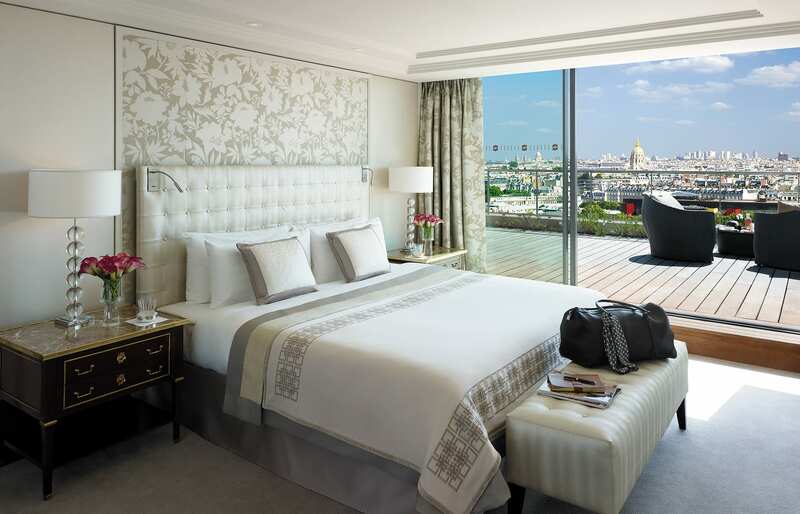 Take a soak in your bathtub and watch the sparkling lights illuminate the Eiffel Tower at night, or better still, have breakfast on your balcony and watch boats idle up the Seine (from the Eiffel Premier Rooms and Suites). 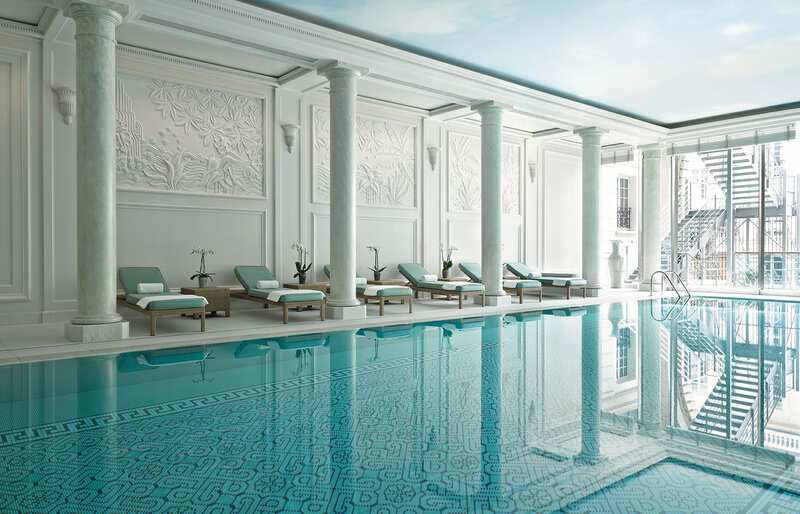 Three top restaurants (including the Michelin-starred L’Abeille and Shang Palace), an Empire-style cocktail bar and a 24/7 fitness room, indoor pool and wellness center offering CARITA body treatments complete this regal retreat. 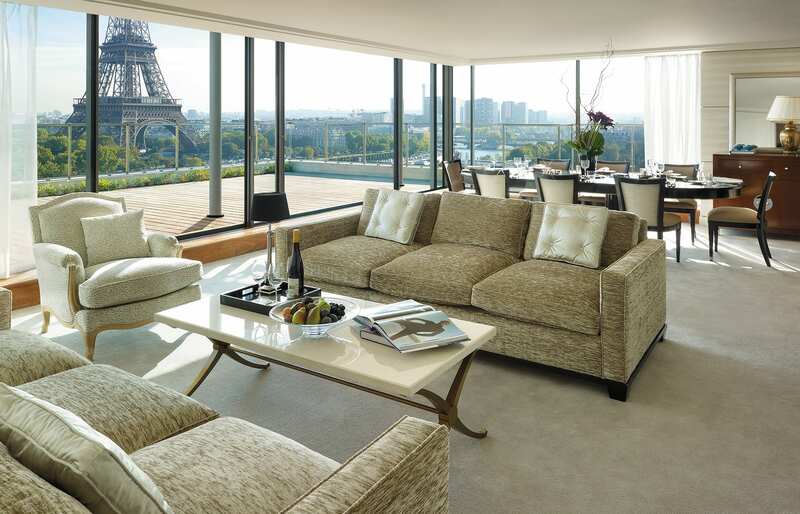 This is a quietly chic residential area, so for the bustle of central Paris you’ll have to hop the nearby metro or take a cab. 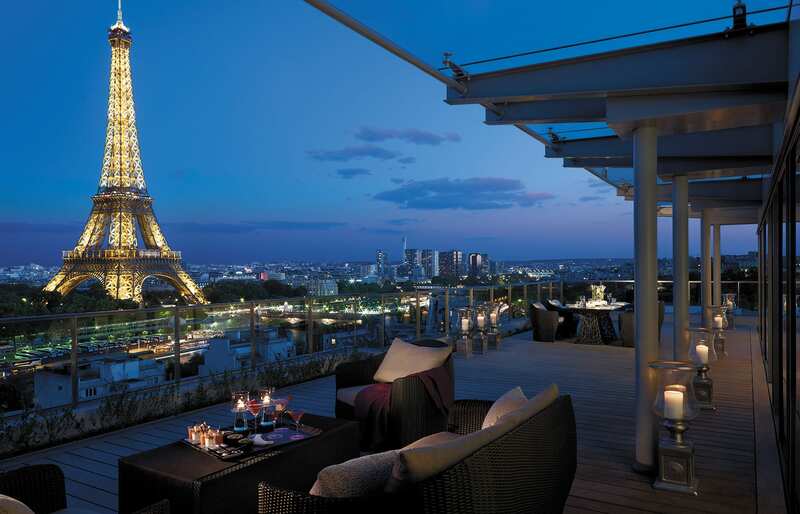 However, the Champs-Elysées is just a 10-minute stroll across the Seine, and you’re close to many museums. 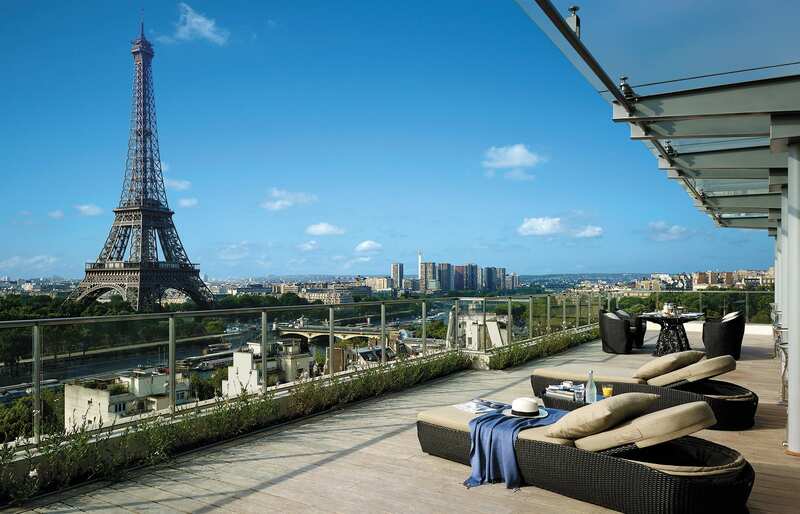 Check out the Musée d’Art Moderne de la Ville de Paris, which traces the diverse art movements of the 20th century. 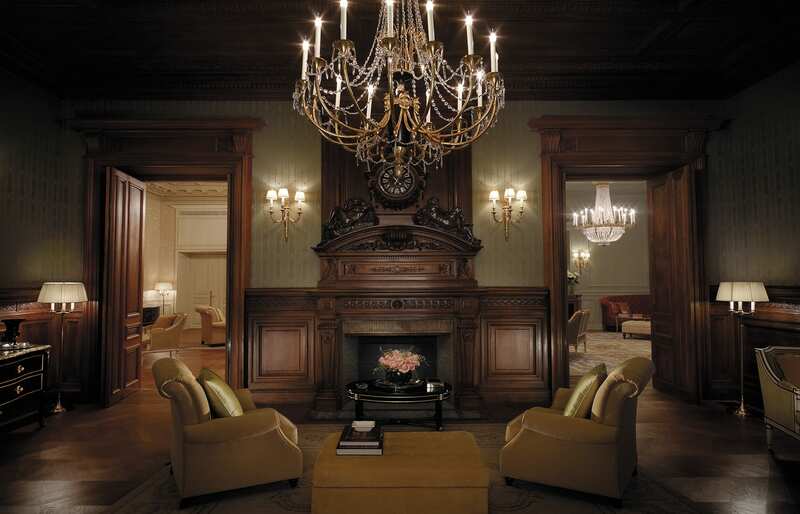 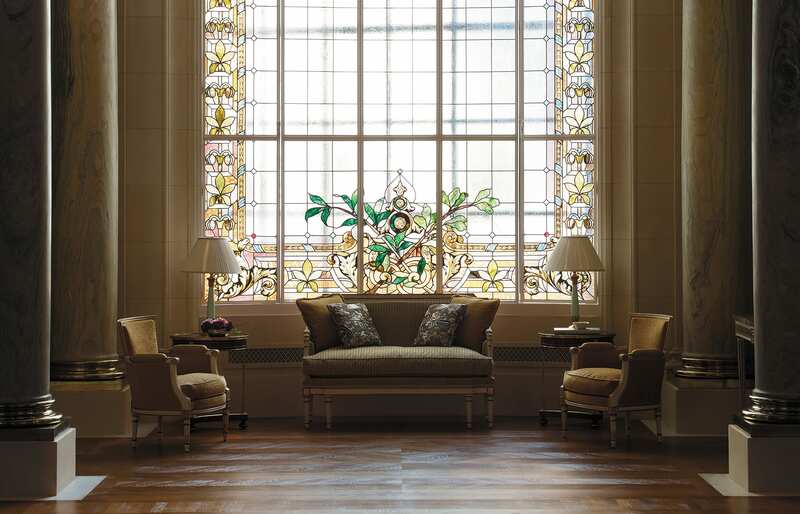 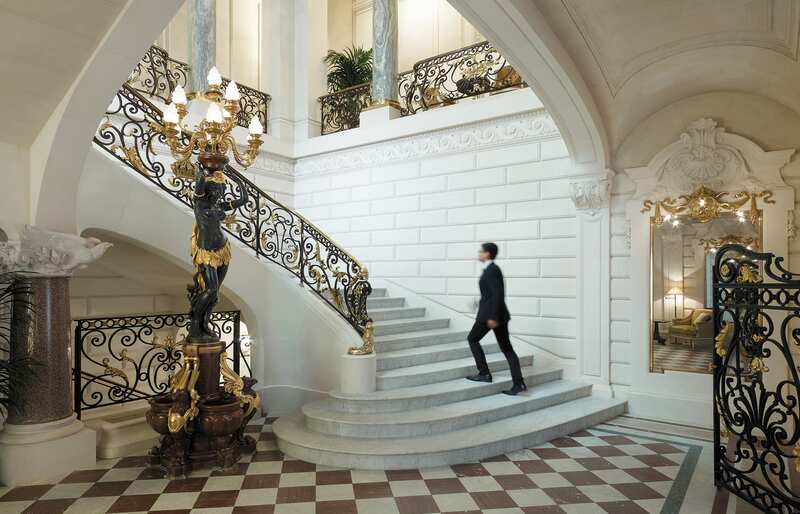 Or visit the Musée Baccarat to see its dazzling crystal collection. In the spirit of the Shangri-La, you might opt to improve your knowledge of Asian art with a visit to the Musée des Arts Asiatiques Guimet. 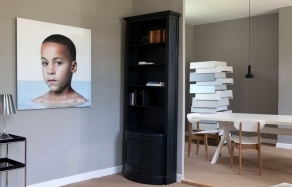 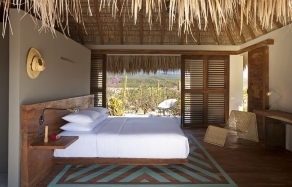 — Review by Hannah Westley, courtesy of Jetsetter.com. 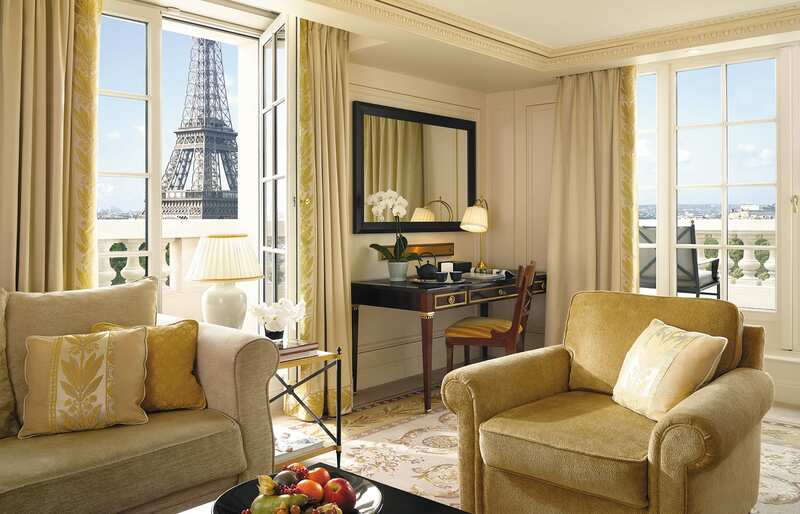 The text has been modified to fit the format. 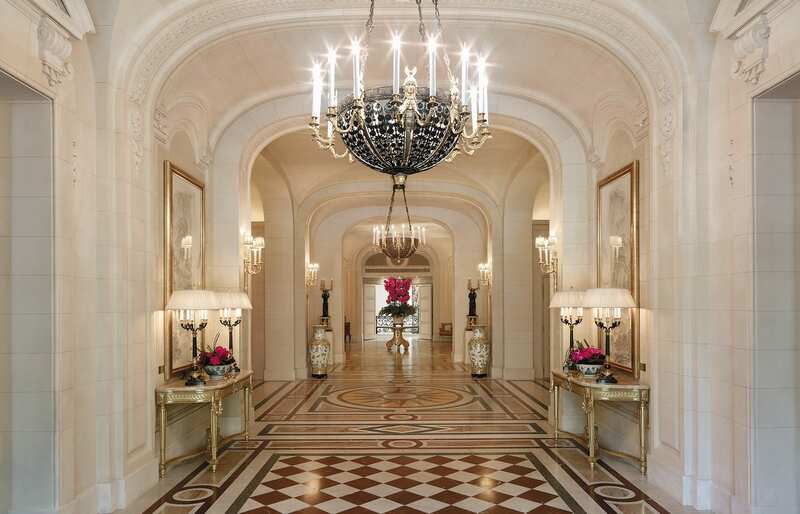 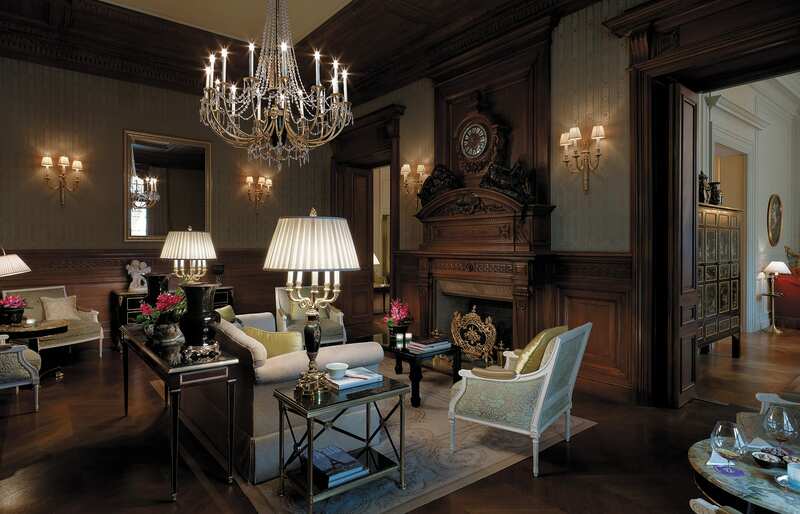 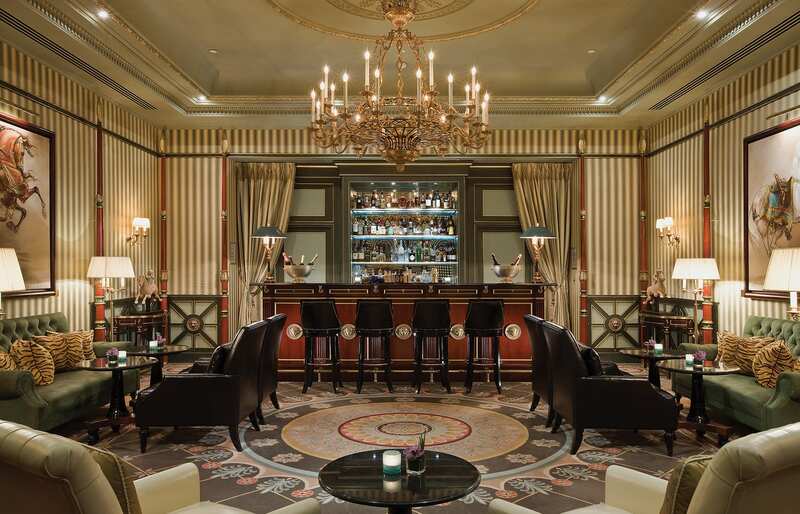 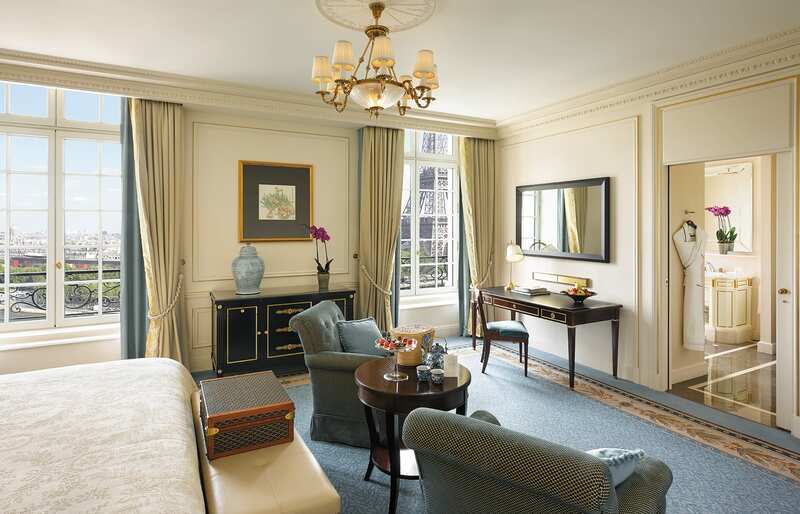 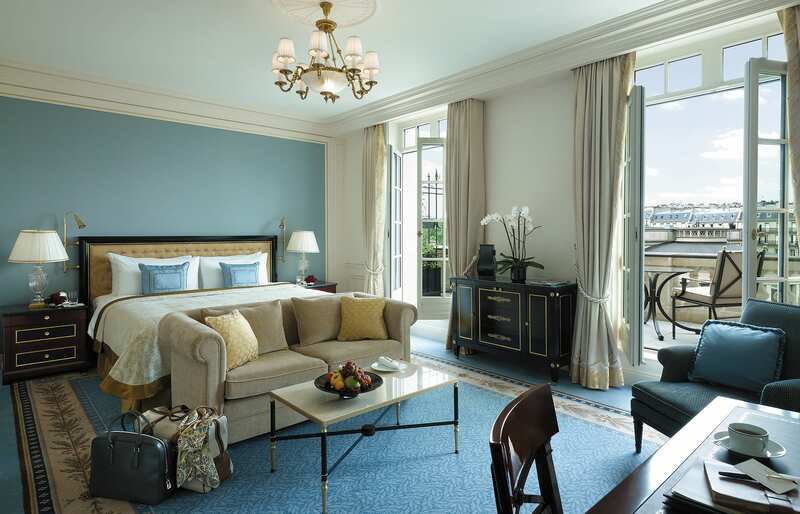 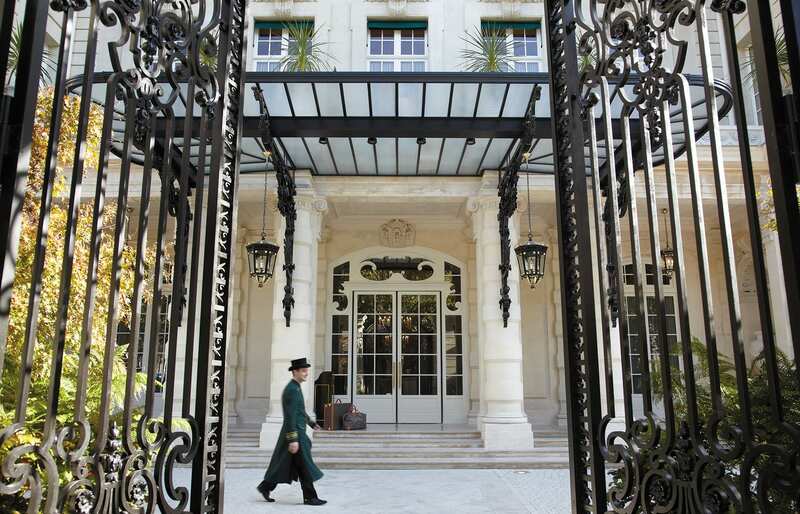 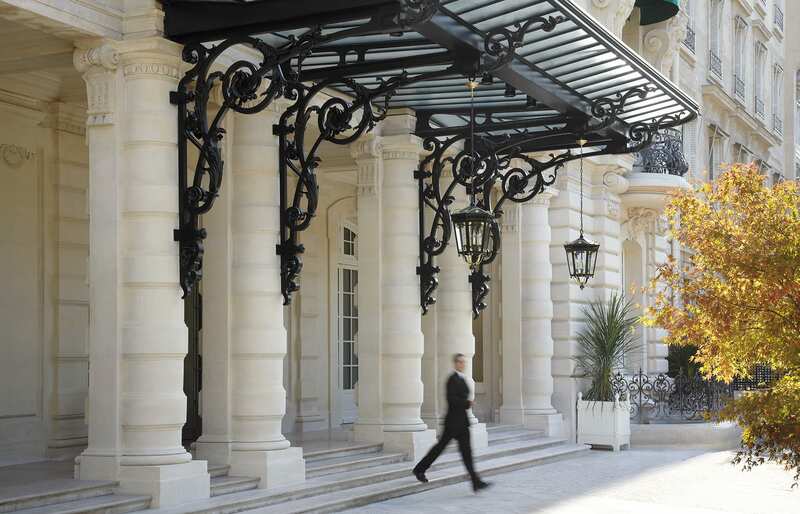 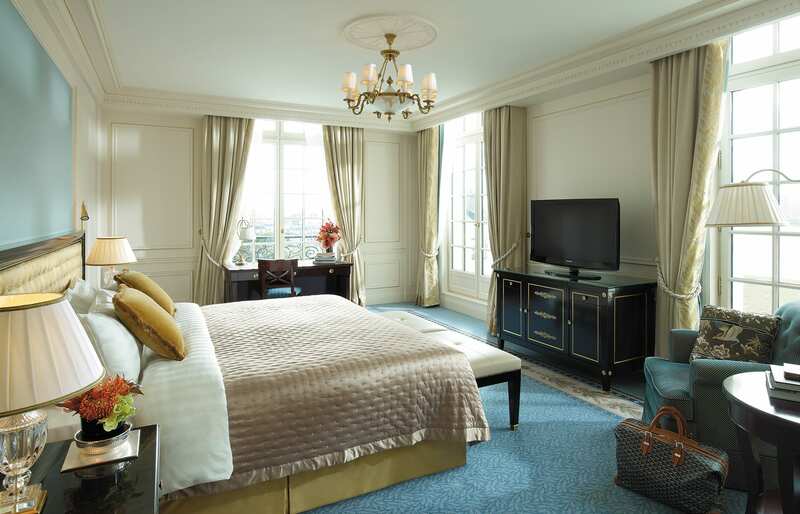 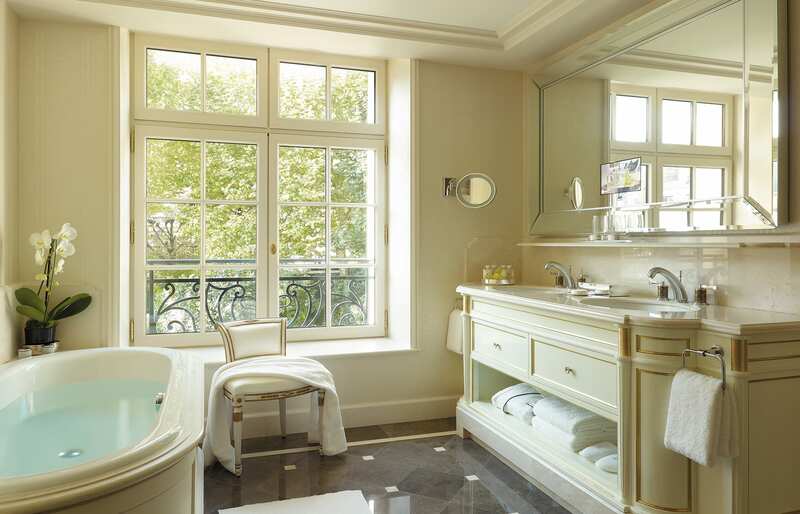 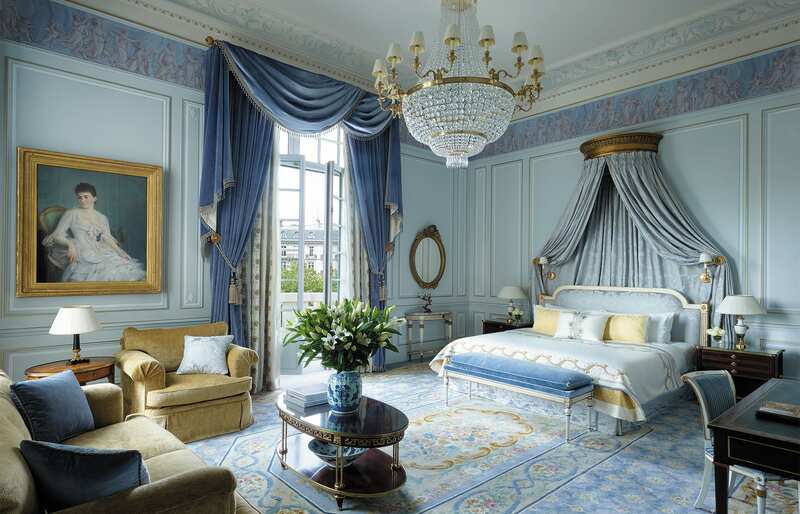 The hotel is one of the few Palace Hotels in Paris, a prestigious collection of the city's best properties. 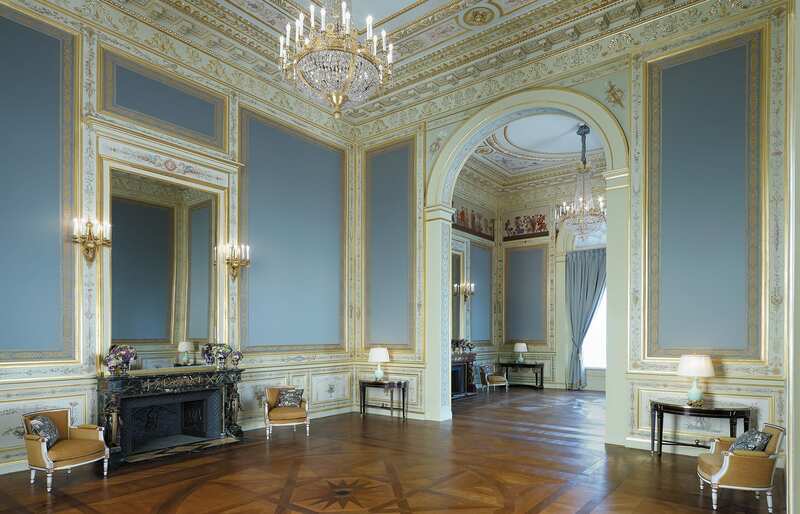 This is a quiet area near embassies and museums.